ELKINS – A poultry company is suing Pilgrim's Pride Corporation after it claims the company breached its contract. M&M Poultry Inc. has been a poultry grower and has been actively involved in caring for poultry since 1996 under various poultry growing arrangements, according to a complaint filed May 8 in the U.S. District Court for the Northern District of West Virginia. M&M claims it executed a production agreement with the defendant on June 9, 2009, and executed an amendment to the agreement on Jan. 20, 2010. 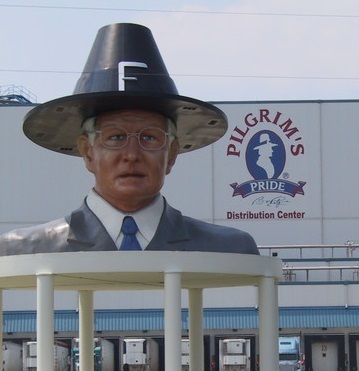 Upon insistence of Pilgrim's Pride, the plaintiff executed another production agreement on Feb. 24, 2012, and David Mongod, the sole owner of M&M, has worked hard to maintain his business and care for the poultry delivered to M&M by the defendant, according to the suit. M&M claims under the terms of the broiler production agreement, Pilgrim's Pride agreed to deliver flocks of chicks to M&M's facility. The defendant defrauded M&M by unilaterally imposing and utilizing a ranking system that can be arbitrarily and capriciously manipulated, according to the suit. M&M claims Pilgrim's Pride defrauded the plaintiff by imposing and utilizing a tournament system that wrongfully placed M&M in competition with its fellow growers, all the while requiring M&M to accept chicks which were genetically different, chicks with varying degrees of healthiness and feed of dissimilar quantity and quality. The defendant knowingly made and continues to make materially false representations about future income, costs, expenses, company policies and working relationships to M&M and its fellow growers, or concealed related material facts and information, according to the suit. M&M claims the defendant violated the Federal Packers & Stockyards Act and breached its contract with the plaintiff. M&M is seeking compensatory and punitive damages. It is being represented by Keith Lively of Doyle, Barlow & Mazard PLLC; and J. Dudley Butler of Butler Farm & Ranch Law Group. The case is assigned to District Judge John Preston Bailey.